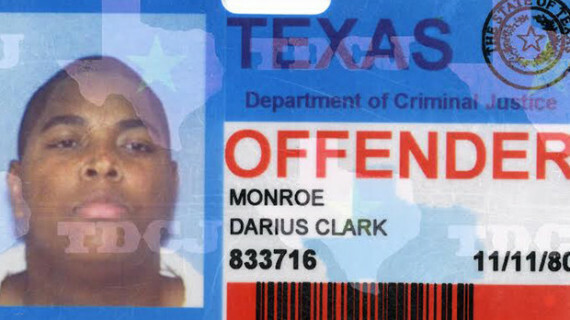 Darius Clark Munroe's film EVOLUTION OF A CRIMINAL took home a pair of awards from this year's Full Frame Documentary Film Festival. The Full Frame Documentary Film Festival concluded yesterday with an awards ceremony at which EVOLUTION OF A CRIMINAL from director Darius Clark Munroe took home the grand jury award. Writing for the News & Observer, Daniel Cook Johnson reported on the awards ceremony. Also writing for the News & Observer, Lewis Beale covered the festival’s honoring of the career of documentary filmmaker Steve James. In a piece for Filmmaker Magazine from March, Sarah Salovaara interviewed Munroe about his film. At Indiewire, Eric Kohn had a recap of this year’s New Directors/New Films program held at Lincoln Center and the Museum of Modern Art (MOMA). In a piece for the Frieze blog, Ela Bittencourt also covered some of the nonfiction film screened at ND/NF. Richard Brody of the New Yorker had some coverage of the upcoming Art of the Real program at Lincoln Center. And Eric Hynes also previewed the series in a piece for the New York Times. In distro news, Nigel M. Smith of Indiewire reported that Drafthouse films had picked up North American rights for the Jesse Moss-helmed doc THE OVERNIGHTERS; Adam Benzine of Realscreen also reported on the acquisition. Adam Benzine also reported that Cinephil had purchased worldwide rights for VESSEL from director Diana Whitten. Realscreen colleague Manori Ravindran had the news that Oscilloscope Laboratories had acquired worldwide rights to THE PAST IS A GROTESQUE ANIMAL from director Jason Miller. At the What (Not) to Doc blog, Basil Tsiokos had an overview of the docs screening at this year’s Sarasota Film Festival. Tsiokos turned out another overview of docs at the Dallas International Film Festival. Back at Realscreen, Adam Benzine reported on the recipients of this year’s Peabody Awards, which were handed out to several doc filmmakers. Benzine also had details on plans by Sebastian Junger to self-release a sequel to RESTREPO titled KORENGAL. This week POV is hosting another doc chat on Twitter on Tuesday, April 8 from 1-2pm EST, this one focusing on how filmmakers made their first film. In order to participate, follow @povdocs and use the hashtag #docchat. Writing for VentureBeat, Stephen Kleckner covered the Danfung Dennis led documentary about virtual reality titled ZERO POINT. In a post at the Independent Lens blog, Craig Phillips interviewed Reuben Atlas, director of the film BROTHERS HYPNOTIC, which airs on Independent Lens this evening. At Nonfics.com, Christopher Campbell had a piece on docs reaching theaters this week. In an earlier post, Campbell also drew attention to docs now available at home via rental, VOD and other methods. Writing for Canada’s POV Magazine, Heather Croall shared her memories of the last days spent with the late filmmaker Peter Wintonick. Over at the Film Journal, Daniel Eagen considered THE UNKNOWN KNOWN, the new film about Donald Rumsfeld from Errol Morris. In a piece at the Chicago Reader, documentary filmmaker Usama Alshaibi spoke with filmmaker Carlos Jimenez Flores about the ethics of filmmaking. The latest Filmwax Radio podcast from host Adam Schartoff features an interview with Jason Osder, director of the film LET THE FIRE BURN. The AFI DOCS festival this week named Christine O’Malley as the interim director of the documentary-focused fest. At Nonfics.com, Christopher Campbell profiled the work-in-progress I DIDN’T DO IT from director Melanie Addington. Writing for NJ.com, Michael J. Fensom interviewed Montclair Film Festival (and Stranger Than Fiction) Artistic Director Thom Powers about his programming philosophy. Over at Paste Magazine, Tim Grierson shared a recap of the True/False Film Festival. On the Independent Lens blog, Craig Phillips interviewed MEDORA filmmakers Andrew Cohn and Davy Rothbart. Please send any tips or recommendations for the Monday Memo via e-mail here, or by Twitter to @GuerrillaFace. Thanks and have a great week!